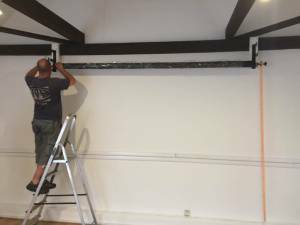 Do you want to see what went in to creating our studio space? 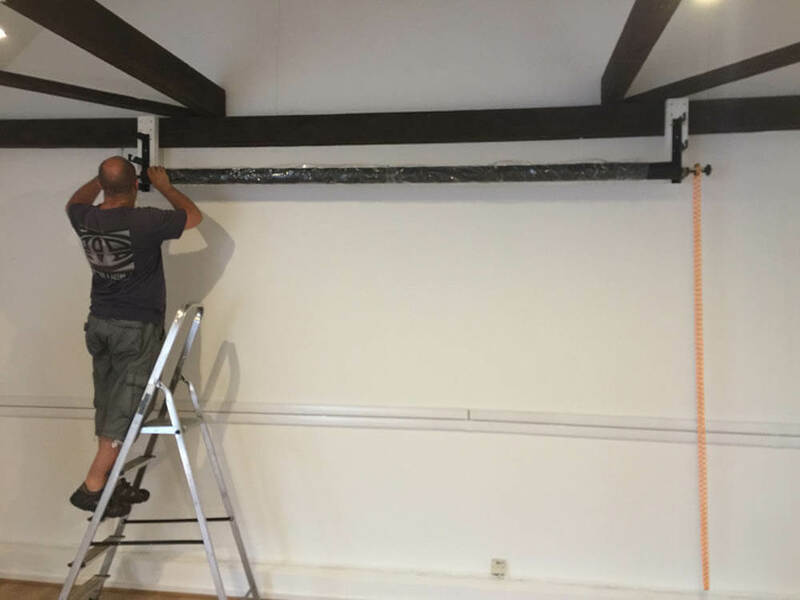 Have a look below to see behind the scenes – setting up the studio. 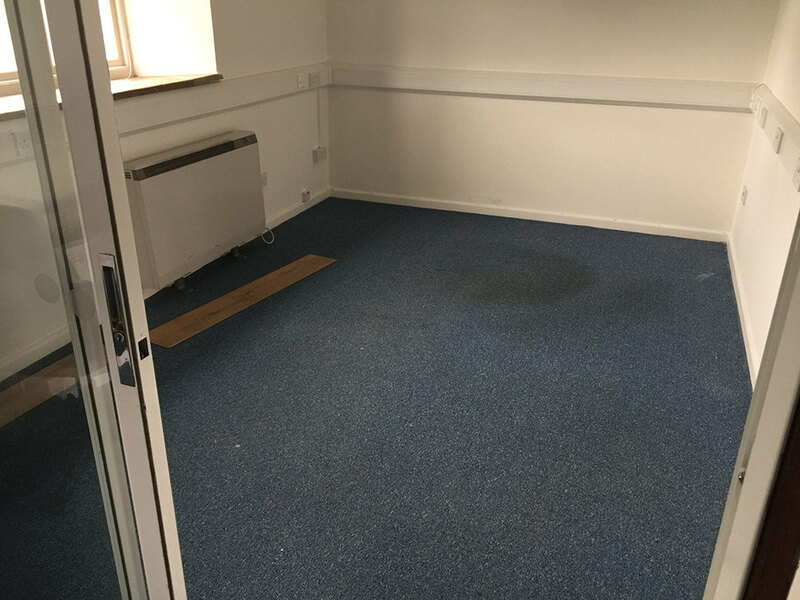 When we moved in to our new building on 1st August, it wasn’t looking so great, or empty, or clean. There was a lot of old office furniture cluttering up the rooms, cobwebs everywhere and an old carpet that had paint stains on it. 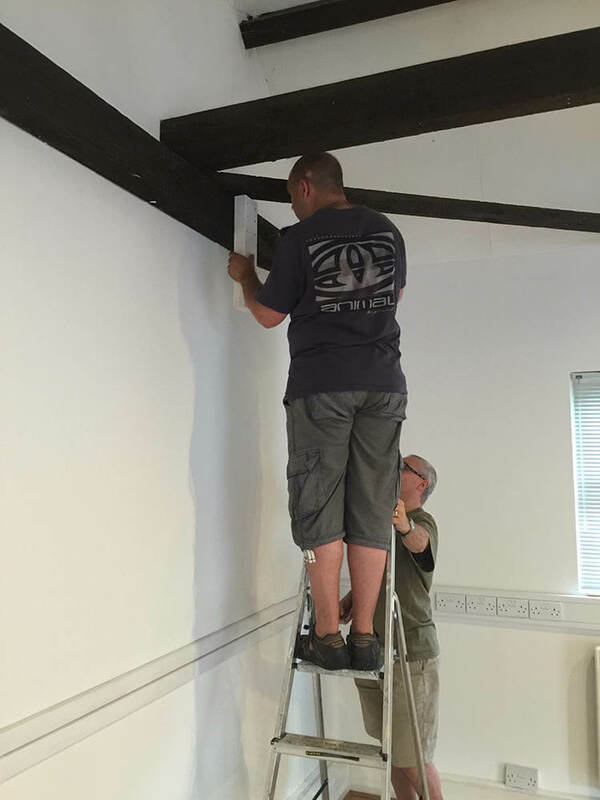 We started by clearing out the furniture, hoovering and cleaning every surface we could find and making a very long list of what we would need to transform the place to our specifications. 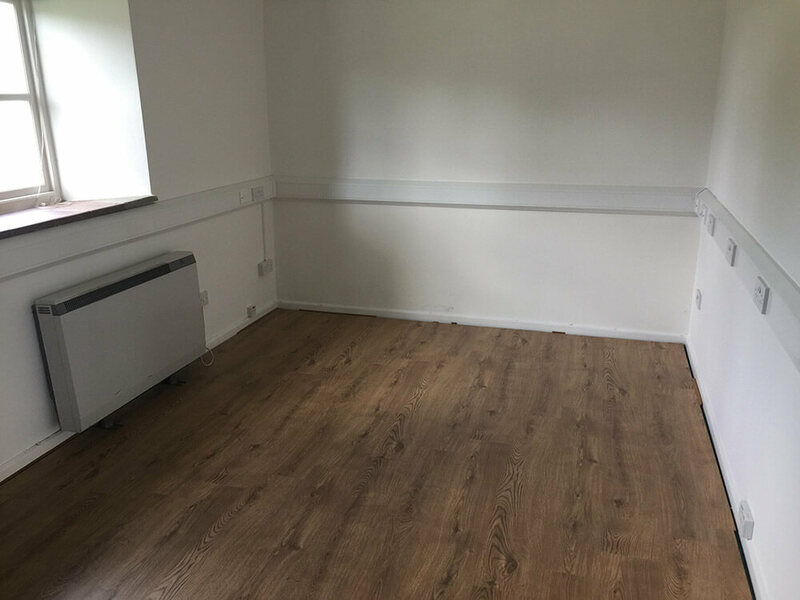 Once we had cleaned, we set about laying the laminate flooring. This took us considerably longer than expected (I’ve no idea why we thought 100 square meters of laminate flooring would go down in a week) and we have to give a huge thanks and shout out to two very good friends who gave up some of their holidays to volunteer and assist with the laying of the flooring. However, once it was down, the effect was worth it. We love it and it looks amazing. These images show the start of the laminate going down and the finished effect. With the flooring down, we could then get on with setting everything else up. Next up was buying the sofas. These we had to go and collect and although my car is capable of carrying a lot, I knew I’d need bigger. 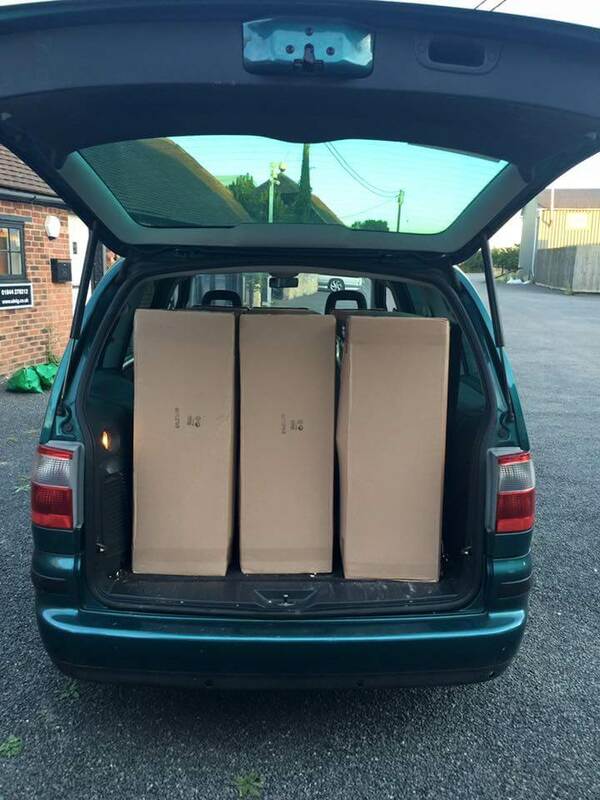 In steps another very kind friend and we manage to just squeeze three sofas in to the back of his car. Prints for the walls were next. A lot of consideration went into these and eventually the images for the samples were decided upon. We have gone for three ranges of wall art. Gallery – this is a beautiful double mounted, framed wall art and is very traditional. Alumini – this is an image printed onto Aluminium and finished with high gloss. 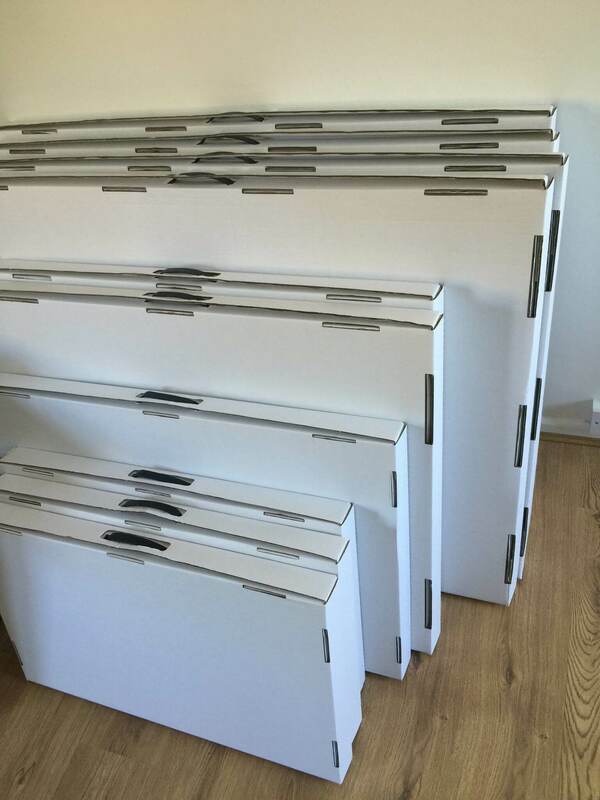 Box – these are images printed and then mounted on top of a deep box frame. Also finished in high gloss. Regardless of which finish you choose, we know that they will look stunning. Here are the prints in their boxes, all ready to be hung. Next up on the list was the studio itself. The backdrops needed to go up and again, we put a lot of thought into how best to hang these to give us maximum usable space. They do exactly what we wanted and give us a huge amount of flexibility to photograph in a wide variety of styles. 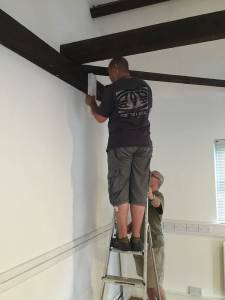 A couple of pictures of the background being hung are below. With everything installed and done, we will leave you with a few before and after images. Better still, come in and see us soon.